Looking for something delicious to make for dinner tonight? 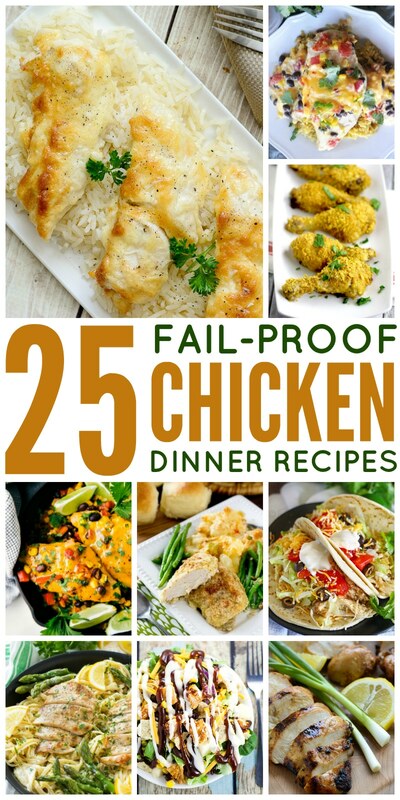 We have rounded up 25 Fail Proof Chicken Dinner recipes that will keep you coming back for more! Check out all these great ideas from the viral OHMYGOSHTHISISOGOOD chicken here on MomDot to easy Crockpot Chicken Tacos. Love these? See more dinner recipes on our special Pinterest board. 18. Crock Pot Chicken Tacos | Kleinworth & Co.